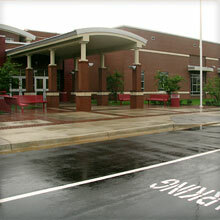 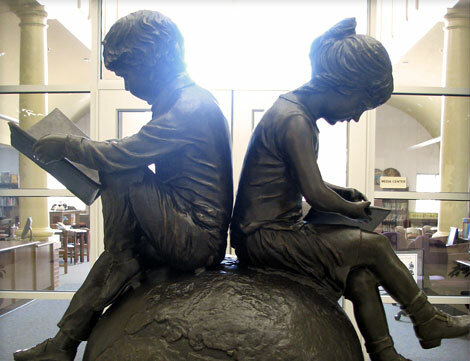 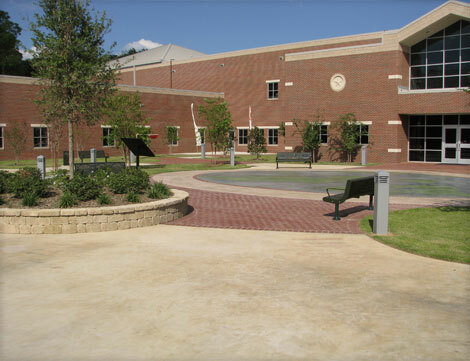 The campus site development design for Andy Woods Elementary School (Tyler Independent School District) provides for a pleasant environment for students and faculty. 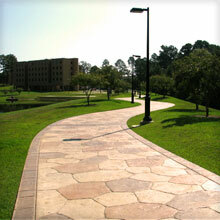 The courtyard development theme was that of a global nature. 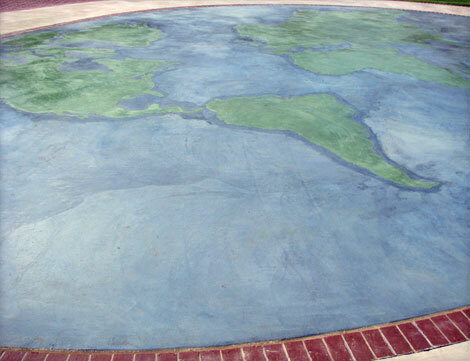 An area designed to be a large globe presents the main theme of the courtyard. 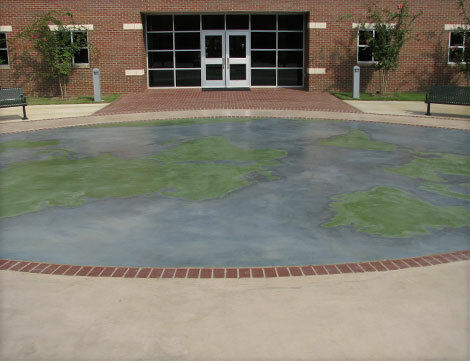 The large globe layout illustrates the positions of the continents and their relationship with each other. 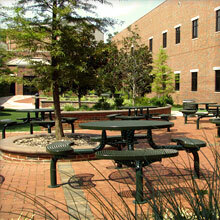 This area also provides a space for the different class levels to gather for outside programs. 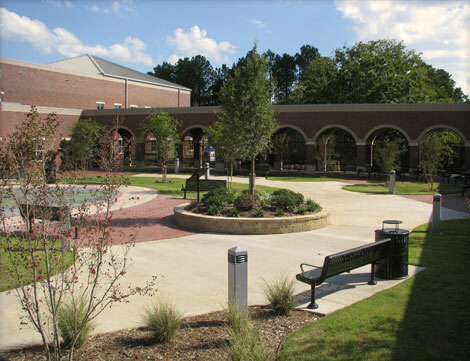 Other areas in the landscaped courtyard provides location for students and teachers to have quiet reading time, as well as an art patio for exterior projects. 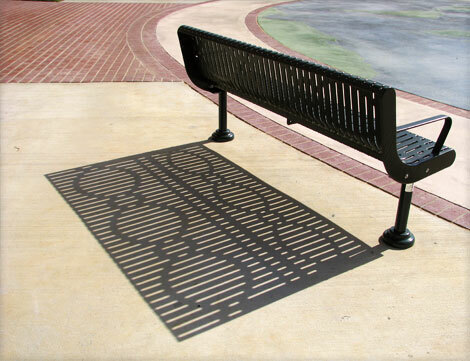 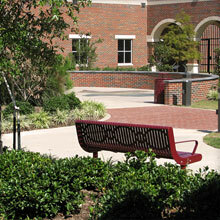 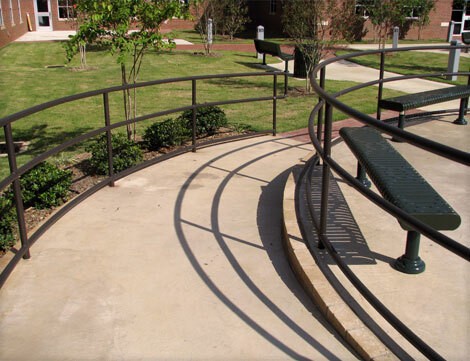 Benches located throughout the area provide places for students, faculty, and parents to sit and enjoy the atmosphere of the courtyard. 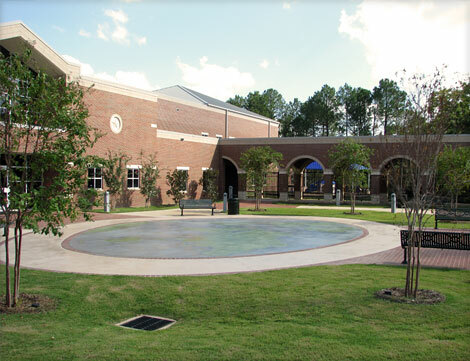 Within the courtyard is an outdoor lunch area that provides an opportunity for parents to come visit their children for meals.